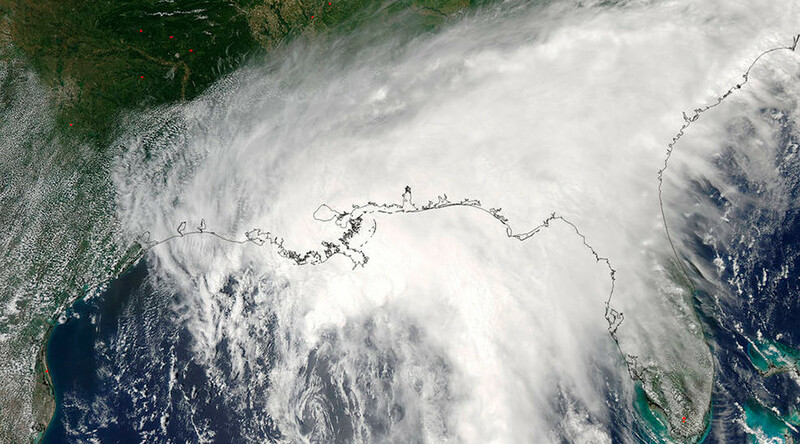 A massive tropical storm is pounding much of the US Gulf Coast, with areas across six states in the southeastern US experiencing potentially life-threatening floods. Tropical Storm Cindy, which stretches from San Luis Pass, Texas, to Orlando, Florida, is expected to dump as much as 5 to 12 inches of rain in some areas over the coming days. Alabama Governor Kay Ivey reacted to the threat of dangerous high tides and torrential rains by issuing a state of emergency Tuesday, while the Federal Emergency Management Agency (FEMA) has said it is moving 125,000 meals and 200,000 liters of water into Louisiana. The storm has also sparked evacuations at oil rigs and platforms. A weather warning has been issued for Galveston Bay in Texas – the site of the only active liquefied natural gas export terminal in the lower 48 states – according to Bloomberg. Tornadoes, too, have been reported in southern Louisiana and the Florida Panhandle. Video posted online shows a water spout make landfall off the coast of Biloxi, Mississippi. Other waterspouts have been spotted in New Orleans. FEMA has issued guidelines as to what to do if caught up in a tornado. The storm is expected to move slowly northeast in the coming days. Meanwhile, the American Red Cross is operating across six states with community shelters opening in Georgia and Mississippi.